Our Pre-school children had a surprise visit from Joppe Coelingh Bennink, the author of the children’s book ‘What’s that smell? !’ and one of our parents. 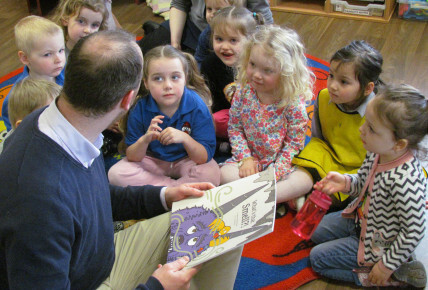 Joppe joined the children for story time and shared his latest book about a purple monster, who discovered a strange smell in his cave. 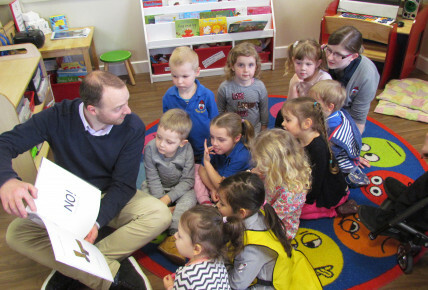 After reading the story Joppe told the children about designing the monster and how the book was made. 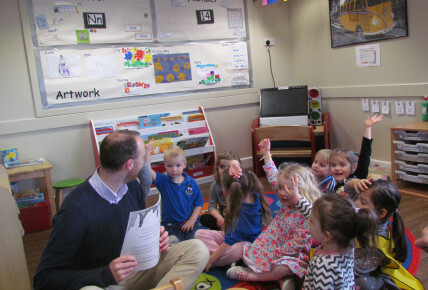 Children then went on to discuss their own teeth brushing habits and why it is so important to brush one’s teeth. Teeth brushing can be an issue with young children. ‘What’s that smell? !’ promotes tooth brushing in a way children can relate to. It’s engaging and memorable, equipping parents with a simple reasoning to help overcome reluctance. It is also formally endorsed by The Oral Health Foundation, Britain's largest dental health charity. 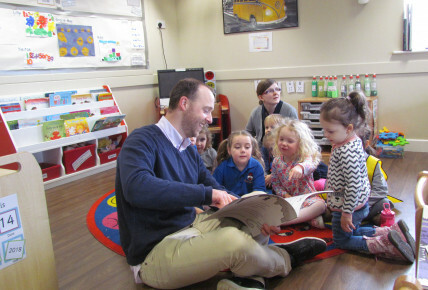 Heidi Cassidy, Nursery Manager, said: ‘Educating children, while having fun is what our nursery is all about. We are so grateful for the support we get from the community and would like to thank Joppe for his time. For more details about ‘What’s that smell? !’ go to www.routineadventures.com or pick up a special offer leaflet in the nursery reception area.